Happy Monday, dear readers! Looking back at my extremely limited posts last month, I'm very happy it is a new month and I can jump in and get to regular posting again! Everything happened last month- between my kids and myself getting sick, my attending Cosmoprof North America, and having to clean up the guest room for my Mother-in-law's visit to watch my littles (which also serves as my swatch room so ALL my polish and makeup needed to get semi-organized so she had some space). Needless to say, I'm actually surprised I got anything posted last month! I've actually got some photos ready to go and just have to finish writing several posts, so you have that to look forward to this month! 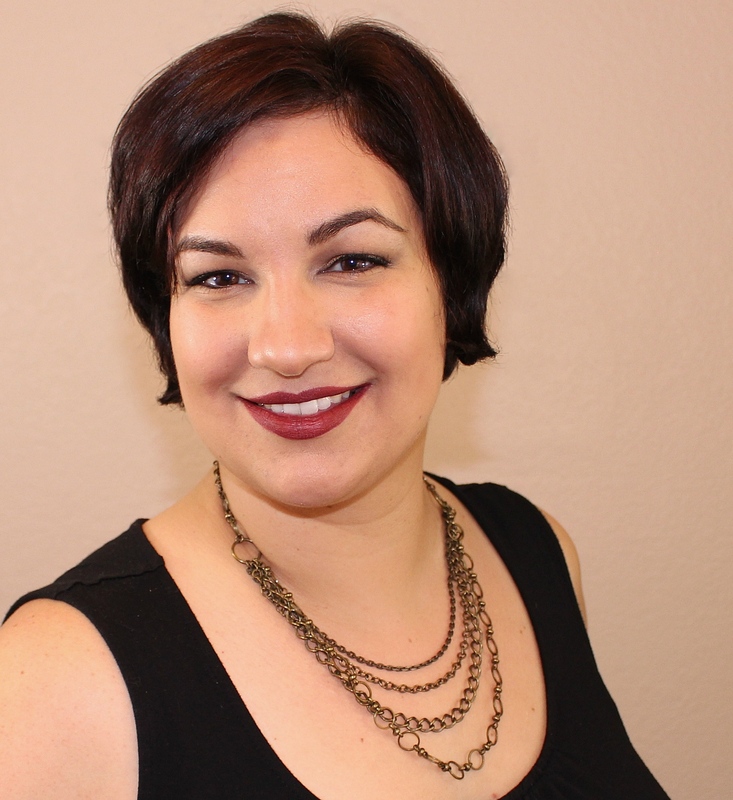 I also met with a lot of people at Cosmoprof North America and picked up a few samples to test out and review for you. That will also be coming up on my blog very soon! Knowing all the writing I need to get done, I should probably quit babbling and get to this post. Ready? Let's do this! You've likely seen swatches of the latest Zoya summer cream collection, Sunsets, and I figured I'd share mine with you now so you can get your last summer manicures in before the weather cools down and it is fall. Wow, this summer really is flying by at record speed! I also have the two newest lipsticks in Candy and Mellie to share with you since they match two of the nail lacquers beautifully. Let's jump in! A juicy watermelon red with a densely saturated, buttery smooth application. A cool treat for hot summer days! Dixie is my top pick from the Sunsets collection. The colour is fabulous, and the formula is fantastic! I've eaten a lot of watermelon this summer, and I love that my nails can match! A fun-filled purple that is seriously saturated and makes a statement! Great on any skin tone, with or without a tan. I love these types of pink-hues purples, and to make Liv even better, I only needed to use one single coat for opacity! I'm sure I would have needed a second coat had my nails been longer, but all you lovelies with shorties can rock pretty nails quickly with this beauty! The formula was also fantastic so you really can't go wrong with Liv! A vibrant cornflower blue with a densely saturated, buttery smooth application. Get ready to rock the waves! I LOVE the ocean, and Dory is the perfect shade whether you are at the beach or not! The formula was also on point, and I couldn't be happier with this polish. 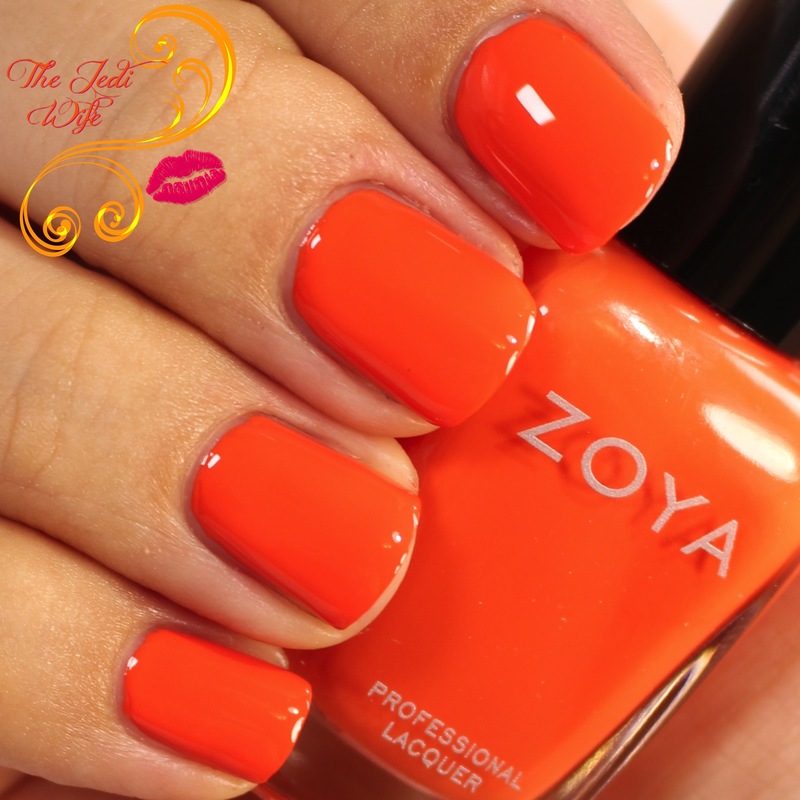 A deep, fully saturated orange with a densely saturated, buttery smooth application. Rich and juicy like a ripe tangerine! Oh, Cam, you broke my heart! As an orange fan, Cam should have been my favorite shade from this collection. While that is true of the colour, the formula left a lot to be desired. Sadly, I found the formula of Cam to be goopy; it did not want to self level well on it's own and only smoothed out with adding top coat. Is it worth it? Well, maybe. I do love the colour, but you're going to need a little patience with the formula. A softened jade green with a hint of blue to make it wearable for all skin tones. Reminiscent of sea glass found on your favorite beaches! I wish I found sea glass in this shade! I usually end up finding lots of brown and white. The formula was a little on the thick and goopy side as well. It's a pretty colour, but you're going to need patience or polish thinner with this one. A popsicle pink with a densely saturated, buttery smooth application. The epitome of happy carefree color! If watermelon pinks aren't quite your shame, Zoya has also released Brynn for those of you that prefer a raspberry pink. It's a gorgeous shade, and the formula was easy to work with. I had no application issues at all with this beauty! In addition to the summer polish collections, Zoya has also added two new cream lipsticks to their lineup. A red-pink cream, with a cool toned, mid-range intensity, and medium coverage. A classic bright pink cream, with a cool toned, mid-range intensity, and medium coverage. I really love these colours! They are so vibrant and bright for the summer, and the formula on both are deliciously creamy. These are true cream lipsticks so they will rub off when you eat, drink, or kiss your (fur)babies, but as long as you don't mind the occasional touchup, you're bound to love at least one of these! They are both cool-toned so they won't work for all skin tones, but they'll look fabulous on those that can rock these pinks! 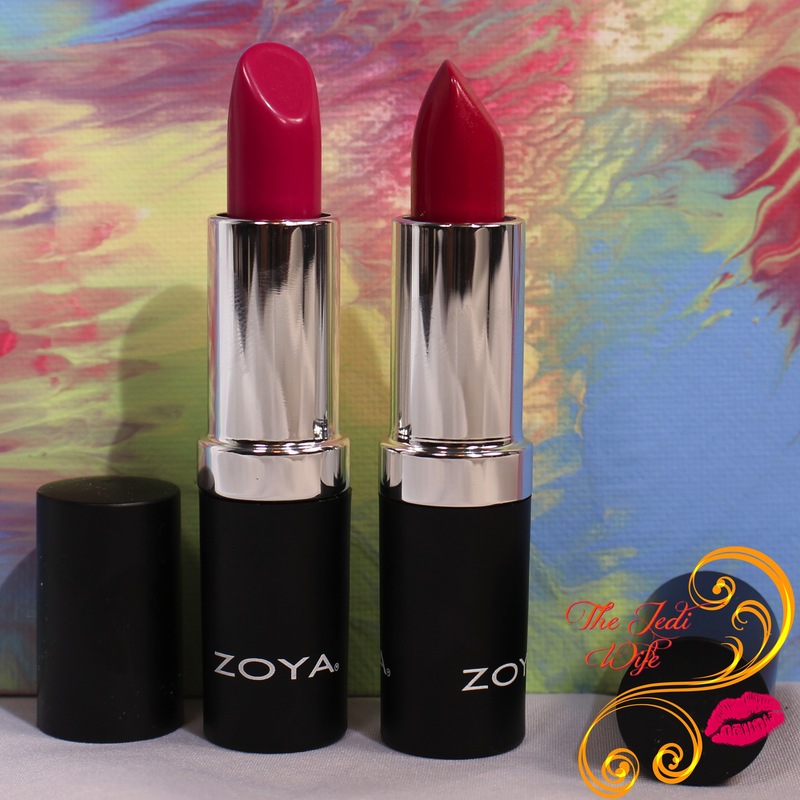 The Zoya Sunsets Collection and cream lipsticks, in addition to other shades not shown here, are currently available for purchase on the Zoya website here. What shades do you want to wear as the summer is coming to a close? Are these lipstick colours for you? I'd love to hear from you! Both lipsticks are gorgeous on you! And I love the whole nail polish collection, too, maybe Ness is too muted compared to the rest of the shades though. Oh wow those lipsticks look amazing on you! So, besides being a nail blogger...YOU NEED TO BE A MAKEUP BLOGGER. Your lips are perfect! These all look so beautiful on you! I love your lippy swatches! Those lippies look awesome on you! I'm definitely loving Dixie the most! My favourite nail polish from the collection are Dory, Cam & Bryan - they are just rocking for me and the lipsticks are so perfect! I love this collection! So beautiful. I'm trying to find the time to swatch my sets. Love the lippies on you too! So pretty. I really need to get this collections and those lipsticks look fab on you! I love this collection and your swatches are gorgeous!